Should your Revocable Trust be the Beneficiary of your IRA? Americans own a greater share of their personal wealth in retirement plan accounts than ever before. For many people, their retirement account is their largest asset beside their home, and often retirement accounts are even more valuable than an individual’s home. This fact, combined with the advantages of tax-deferred growth and robust investment performance, means that, more often than not, individuals die leaving a significant balance remaining in their 401(k), IRA or other tax-deferred account. As estate planners, it’s our job to advise clients on the most efficient way to pass these remaining assets to future generations while being mindful of clients dispositive wishes and concerns. However, the complexity of the IRS regulations governing these accounts mean accomplishing your goals often isn’t as simple as with savings or brokerage accounts. If you’re married, your spouse is living, and you plan on leaving everything to each other, it’s likely a good idea to name him or her as 100% primary beneficiary on your retirement account. Surviving spouses have special rights to “roll over” a deceased spouse’s retirement account into their own account. 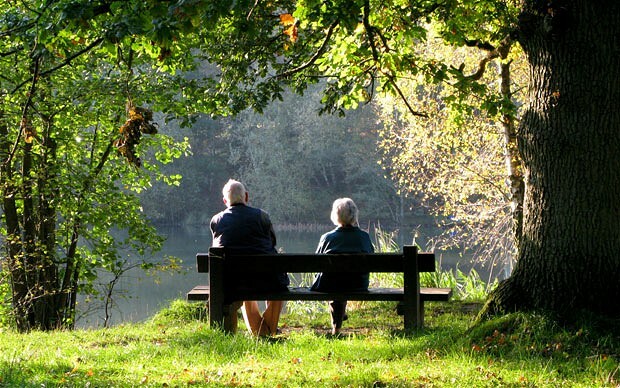 If the surviving spouse is under his or her retirement age, he or she will not have to take distributions immediately, and required minimum distributions will be calculated using the surviving spouse’s life expectancy. If you’re single with children, or your spouse is deceased, you may wish to name your children individually as equal beneficiaries of your retirement accounts. In this circumstance, an inherited IRA would be set up for each child, and depending on your age at death, the child would have a number of options for taking distributions. Generally, the best option is for him or her to take distributions from the account over his or her life expectancy. This allows the assets to continue to grow, tax-deferred, while assets are withdrawn at the slowest possible rate. However, even if your beneficiary elects this option, he or she can still take more from the account if they need or want it. Often beneficiaries are financially secure, and able to manage the funds responsibly. However, for minor beneficiaries, beneficiaries who lack financial responsibility, or have substance abuse or other issues, the ability to withdraw lump sums from retirement accounts can present problems, especially when a larger withdrawal results in a larger income tax burden for the beneficiary. Additionally, for individuals who receive government benefits, the ability to withdraw large sums outright will generally result in disqualification for programs like Medicaid. In these more difficult cases, it’s entirely possible to name a trust as the beneficiary of the retirement account (for IRAs). The Trustee will be able to control distributions to the beneficiary and, as long as the trust and beneficiary designation are correctly drafted, it should not result in disqualification for government benefits. Additionally, for beneficiaries who may be at risk of a significant lawsuit or bankruptcy filing, a trust can provide a level of creditor protection not available to individual owners of inherited IRAs. But there are a few technical issues that need to be clarified before you can safely change the beneficiary designation to name a trust. A retirement account’s best feature is the ability to provide tax-deferred growth. Assets grow tax free until they are withdrawn. Consequently, the aim of the game is to defer withdrawals as long as possible to maximize tax efficiency. However, to allow beneficiaries to “stretch” distributions over the longest period possible, an account must have a “designated beneficiary.” While individual persons automatically qualify as designated beneficiaries, only certain trusts can qualify, and the regulations to determine qualification are mind-numbingly complex. For example, a standard revocable trust can often contain provisions that would violate the IRS rules. If this kind of trust was named as a beneficiary of a retirement account, the account may have to be liquidated immediately, and the beneficiary may be hit with a significant tax burden in the first year following the account owner’s death. How can you make sure your trust qualifies? Standalone retirement trusts (SRTs) are designed specifically to receive retirement account proceeds. They contain all the specific language required to pass the IRS tests, and don’t include language that would prevent the beneficiary from stretching distributions over his or her life expectancy. Additionally, where the account owner’s goal is to qualify the beneficiary for government benefits, or provide creditor protection, a separate trust is often the preferred vehicle for receiving retirement account assets. Another option is to inquire whether your IRA vendor provides what’s known as a Trusteed IRA. This allows beneficiaries to stretch distributions, and provides independent trustee and management services. While this option may result in higher fees, tax efficiency is assured, as Trusteed IRAs are generally pre-approved by the IRS to qualify as designated beneficiaries. However, you are required to move your accounts to the Trusteed IRA during your life. This is intended as a very brief overview of the issues and questions that should be addressed. Planning for retirement benefits can be complicated and complex. Appropriate time and resources should be allocated to this part of your planning. In addition, your beneficiary designations should be reviewed periodically and updated based on changes in the law, family, and or financial situation. A marriage or divorce will always require significant updates to your estate planning documents, whether you plan to leave all your assets to your new spouse, or to make sure your individual assets are preserved for your children. Married couples can also take advantage of estate tax planning strategies unavailable to individuals. Whether you’ve bought a new home or just been working hard to create a nest egg, a significant appreciation in assets should always prompt you to review your estate plan. If you have over $1 million in real estate, cash/stocks, retirement, and life insurance, there are probably opportunties to save on state estate tax and make sure your beneficiaries keep more of what you’ve earned. Sometimes life can throw us curveballs, and you should make sure your estate plan is drafted with these realities in mind. If a beneficiary is going through a divorce, has addiction or creditor problems, or needs government benefits, trusts can be revised or created to support your beneficiary without risking the loss or division of your assets. Likewise, if your named trustee or personal representative is experiencing similar problems, you might consider naming someone else. 70% of all individuals turning 65 today will need some kind of long term care, and nursing homes costs can run over $300 per day. Planning for long term care can help protect your home and other assets from the cost of care, especially if you and your spouse are currently healthy. If it’s been a while since you reviewed your estate plan, there have been a lot of changes that might mean it’s time for an update. Specifically, if you have a funded trust, and your estate is worth between $1 and $10.68 million (for a married couple), you should set up a review to see whether some changes could result in greater tax efficiency. If any of these circumstances apply to you, give us a call to set up a review appointment. One of the primary reasons for forming an entity, such as a corporation or LLC, to conduct business operations or to hold investment assets such as real estate, is to obtain limited liability from creditor claims, including claims in tort, contract, or otherwise. Generally, if you own investment real estate in your name alone, or operate a business as a sole proprietor or general partnership, a creditor – such as a customer or tenant injured on your property, or someone who successfully claims that you violated a contract – would be able to access your business and non-business assets to satisfy their claim. For example, if your tenant was seriously injured or killed as a result of a hazardous condition on your property, and obtained a $2 million judgment against you, but your business property was only worth $600,000, and your insurance only covered you for $1 million, the $400,000 balance could potentially be taken, by the creditor, from the value of your personal assets, including your home, other real estate, and savings or investment accounts. If you transferred your investment real estate to a properly organized limited liability entity, such as an LLC, the creditor described above would generally be limited to the assets of the LLC, plus the value of any liability insurance owned by the LLC. As such, if the creditor’s claim was greater than the value of the real estate plus insurance proceeds, he or she would simply be unable to collect on the claim, and your personal assets would be unaffected. It is important to note, however, that simply forming an LLC is not a magic bullet that ensures limited liability. LLCs must be operated as a separate entity, and the affairs of the LLC cannot be commingled with your own. Separate bank accounts, accounting, tax returns, and annual filings are required, and the business formalities described in the LLC Operating agreement must be closely followed. LLC owners and managers should avoid using LLC assets, accounts, or credit cards for personal transactions, and should be clear to tenants, vendors, and other third parties that they are dealing with the LLC as an entity, and not the owner in his or her individual capacity. Business cards, letterhead, signage and other materials should therefore clearly state that the business is an LLC. Failure to sufficiently distinguish the LLC from the owner/manager can result in invalidation of the liability protection offered by an LLC. Further, maintaining the separation of the LLC from the owner can be an administrative burden, and should be weighed against the costs of not forming an LLC and merely purchasing more liability insurance. Additionally, there are initial and annual filing fees involved with forming an LLC. In Massachusetts, the fee is $500 to file the initial documents with the Secretary of the Commonwealth. Annual reports must also be filed, accompanied by an additional $500 annual fee. Owners and managers should also note that creditors will often ask for a personal guarantee before offering credit to an LLC or other limited liability entity. In such circumstances, the LLC does not protect against liability for debt repayment should the assets of the business fail to satisfy the creditor’s claim. Unlike standard “C-” or “S-” corporations, under the IRS “check the box” regulations, an LLC can choose how it wants to be taxed. Corporations are subject to what’s known as “double taxation.” This means that income is taxed as it is earned by the corporation, and also again when it is distributed to its shareholders as dividends, or when appreciated stock is sold. LLCs can choose to be taxed in this way, but can also choose to be treated as a partnership, or “pass-through” entity for tax purposes. Under this model, income is passed through to the LLC members and added to their personal income, and therefore taxed only once. In many cases, this works significantly to the LLC owner’s advantage. Looking toward the future as the interests of the next and younger generation begins to vest, an orderly transition is going to be increasingly important to minimize potential conflicts and maintain the value of the property. LLC operating agreements can be flexible and structured to obtain a variety of succession planning objectives. Control and ownership of the LLC can be divided disproportionately to allow for the younger generation’s disparate interests and abilities in running the LLC business, or managing the assets. For example, it is possible to create varying classes of membership interest, so that some members may control the LLC and some may not control, but still share in the financial benefits. Similarly, nomination of a specific successor manager allows you to name a specific person who would control daily operation/management of the property in the event of your death or incapacity. LLCs can be member-managed or manager-managed, and the role of both managers and members will depend on the operating agreement. Generally, the manager operates the day-to-day aspects of the business, and reports to the members. Managers do not have to be members, and members do not have to be managers. Thus, a third party can be named to manage the LLC on the members’ behalf. Consideration should be given to whether the members should be able to remove the manager and, if so, what proportion of the members should be allowed to do so, depending on the identity of the manager. All of these considerations are controlled by a properly-drafted operating agreement. Limitations on transfer of membership interests can also prevent members from transferring their ownership of the business or investment assets to third parties. These restrictions can, for example, require manager approval of transfers of membership interests, or give the other members a “right of first refusal” to purchase the membership interest. These restrictions on marketability also result in discounts for estate and gift tax purposes with regard to the value of the real estate (LLC). Very generally, the IRS may allow the membership interests to be discounted for lack of marketability and/or lack of control. If discounts are desired, a qualified appraiser should be engaged to value the membership interests and determine the discount, and while such discounts are allowed, no specific outcome can be guaranteed. Should I Put My Life Insurance in a Trust? The first place to start is your assets. In Massachusetts, estates with assets over $1 million, including life insurance, are subject to the Massachusetts estate tax. In 2014, the federal estate tax exemption is effectively $5.34 million for an individual, and $10.68 million for a married couple (‘portability’ allows a surviving spouse to utilize any unused portion of the deceased spouse’s exemption). But that’s enough about estate tax. The crux of the matter is, if you have life insurance, and your estate is taxable (i.e. all your assets, including life insurance, combined are worth more than $1 million for Massachusetts residents), then you ought to be thinking about an Irrevocable Life Insurance Trust. If your estate is not taxable, skip the next section, but read on to find out about naming your revocable trust as beneficiary of your life insurance policies. The primary benefit of an irrevocable life insurance trust (“ILIT”) is that it removes the life insurance policies from your estate for estate tax purposes. While many people believe life insurance is “tax free,” this actually refers only to the proceeds received by the beneficiary. While your beneficiaries do not pay income tax on the proceeds of a life insurance policy, the value of a life insurance policy is still included in your “gross estate” for estate tax purposes. An ILIT allows you to remove the life insurance policies from your estate by permanently transferring them to an “irrevocable trust.” When you die, the ILIT’s Trustee simply files a claim with the insurance company, and the company writes a check payable to the Trust. The funds are then held in trust, or distributed outright to your beneficiaries. While the administration of an ILIT is slightly more complicated than a revocable living trust – beneficiaries must receive annual notices providing the beneficiaries with a right to withdraw the premium payments (or a portion thereof), for example, and the life insurance premiums must be paid by the trustee – ILITs can result in significant estate tax savings for people with taxable estates and sizable life insurance policies, allowing you to leave more to your loved ones. If your estate is not in the taxable range, there is still a significant benefit to naming your revocable trust as the beneficiary of your life insurance, rather than naming individuals outright. Naming the trust will allow you maximum flexibility as to how you distribute the assets to your beneficiaries. If any beneficiary is a minor, or you would rather that they did not receive a large sum of money outright, your Trustee can hold the property for their benefit, making distributions only for their “health, education, maintenance, and support.” Or if a beneficiary receives needs-based government benefits, you can name a Supplemental Needs Trust as beneficiary, to prevent the funds from rendering the beneficiary ineligible. Alternatively you could hold the funds in trust until the beneficiary graduates college, has a steady job, or earns a certain amount of money, allowing you to pass on your values to your children. Holding life insurance proceeds in trust may also protect your beneficiaries’ inheritance against creditor claims, lawsuits, bankruptcy, and other unexpected life events that threaten assets held by your beneficiaries individually. So while the nature of your life insurance planning will depend on the size of your estate, and how you want to distribute to your beneficiaries, the chances are that naming a trust as beneficiary of your life insurance, in some capacity, is the right choice for you. To a wine enthusiast, decanting serves a dual purpose: to provide aeration and to separate the wine from any sediment that developed during the aging process. To decant, simply pour the contents of the wine bottle into a separate container (the decanter), leaving undesirable sediment behind. To the trust and estate attorney, decanting generally means “pouring” the assets of an existing trust into a new trust (the decanter), and the sediment are the provisions of the old trust left behind. It might sound fairly simple, but the power to decant can have serious implications by changing a grantor’s intent, omitting or restricting beneficiaries, and causing unintended tax consequences. Policy in Massachusetts, by its relative silence on the subject, appears to recognize this. In fact, during the recent enactment of the Massachusetts Uniform Trust Code in 2012, and a full review of trust law during the process, Massachusetts chose not to adopt a decanting statute. Despite the legislative silence, the Supreme Judicial Court (SJC) recently took up the decanting issue in Morse v. Kraft, 466 Mass. 92 (2013). Richard Morse, sole trustee of the Kraft Family Irrevocable Trust (the trust), sought the SJC’s approval to decant the trust’s assets. Created by Robert K. Kraft (the donor) in 1982, the Kraft Family Irrevocable Trust was designed for the benefit of the “children of the marriage of the donor and Myra H. Kraft,” a class that consisted of four sons when it closed at the death of Myra H. Kraft in 2011. Each son was an income beneficiary of his own subtrust, and a potential object of powers of appointment held by the other sons. The trust, however, allowed only “disinterested trustees” to participate in distribution decisions. At the time the trust was created, the sons were minors, so “it was impossible to know whether they would develop the skills and judgment necessary to make distribution decisions concerning their respective subtrusts.” Id. Morse, however, wanted to delegate his trustee powers to the Kraft sons, who were now adults and able to manage their own financial affairs. Desirous of removing this restriction, and with the knowledge that the SJC’s imprimatur would be necessary to qualify the new trust as “grandfathered” under IRS Generation-Skipping Tax Regulations, Morse filed a petition asking the court to interpret the trust’s language as authorizing decanting without court approval. Starting with Florida in 1940, the common laws of a number of states have also authorized decanting in some form, with varying restrictions. See Phipps v. Palm Beach Trust Co., 142 Fla. 782, 786 (1940); See also Florida Statute §736.04117 (enacted in 2007 and authorizing decanting by statute); In re Estate of Spencer, 232 N.W. 2d 491 (Iowa 1975); Wiedenmeyer v. Johnson, 55 N.J. 81 (1969). These courts have generally taken the position that a trustee who has the absolute discretionary power to create in a beneficiary an estate in fee simple, as a consequence of that power, has the authority to create in that beneficiary an estate in less than fee simple. See Phipps, 142 Fla. at 786. In other words, if the trustee can distribute to the beneficiary outright, then, absent further restrictions, the trustee may distribute to that beneficiary in further trust. Adopting this same position, the SJC recognized that the almost unlimited discretion granted to Morse as trustee of the 1982 trust, to make outright distributions to or for the beneficiaries, inherently included the power to distribute in further trust. See Morse, 466 Mass. at 95. Preferring to leave the issue to the legislature, however the SJC did little to clarify the metes and bounds of the decanting power in Massachusetts. While the court recognized the existence of the common law power, it stressed that whether a trustee has the power to decant depends on the facts and circumstances of each individual case, and placed great significance on the donor’s intent. See Morse, supra, at 97 (“in interpreting a trust, the intent of the settlor is paramount”). The specific Morse facts strongly supported the SJC’s decision, as there was testimony from the donor and the original drafting attorney regarding their intent to allow decanting, even though the trust was silent. The SJC also explicitly declined to adopt the Boston Bar Association’s recommendation of a broad decanting power, irrespective of the language of the trust. Id. at 99. Further, the SJC put drafting attorneys on notice that, given the prevalence of express decanting provisions in modern trust instruments, it would be unwise to rely on the common law power in the future. Id. at 100 (“We will then consider whether the failure to expressly grant [the] power suggests an intent to preclude decanting”). The SJC also recognized that the power to decant is potentially the power to amend an unamendable trust. (See Morse, 466 Mass. at 93). With that comes potential for abuse that future legislation in the commonwealth will need to address. Twenty-one states have adopted some form of decanting legislation and a handful more are actively considering it. (See M. Patricia Culler, American College of Trust and Estate Counsel, List of States with Decanting Statutes, Passed or Proposed, Nov. 15, 2013.) These states, in developing their legislation have developed a myriad of restrictions and conditions on the exercise of decanting powers to guard against such abuse. First, restricting the class of beneficiaries of the new trust to those identified by the original trust is a common restriction (both by case law and statute) and was supported by dicta in Morse. See Id at 94. This limitation was adopted by the Florida Supreme Court in Phipps, supra, at 786-787, and in varying forms by all states to pass decanting legislation. See Wareh & Dorsch, Decanting: A Statutory Cornucopia, Trusts & Estates, March 2012, 24 (“no state permits the direct addition of a new beneficiary”). Restricting the class of beneficiaries becomes more complicated, however, when decanting less than the entire trust to a subset of beneficiaries, when a future interest is accelerated, or when a distribution standard is altered. States address these situations in varying ways, with a minority explicitly allowing the acceleration of a future or contingent interest,1 and others vaguely stating that the new trust may be for “one or more” of the current beneficiaries. Second, explicit limitations on changes to distribution standards are less common, but should be considered. The majority of states are currently silent on whether a distribution standard may be changed through decanting. See Wareh & Dorsch, supra, at 26. It is unclear whether these states permit a change in distribution standard. Alaska, Delaware, New York, North Carolina and Ohio explicitly restrict the trustee’s power to change distribution standards. The Uniform Law Commission (ULC) has formed a drafting committee to explore model decanting legislation, either in the form of a standalone statute or an amendment to the Uniform Trust Code. The Decanting Ad Hoc Committee of the Massachusetts Bar Association’s Probate Section Council, rather than submit its own legislative proposal, chose to wait for the ULC’s recommendation. The status quo in Massachusetts remains ambiguous. Without clear evidence of the donor’s intent to grant the decanting power, is there a power at all? And if the decanting power does exist, then what limitations apply to its exercise? Absent further case law, these questions will likely be answered, in time, by the legislature. In the interim, decanting powers should be used and exercised carefully. Given the highly fact-sensitive nature of the Morse opinion, trust documents should clearly address the donor’s intent. Court approval should be sought to determine the nature and extent of the power in any particular case where donor’s intent is ambiguous or the power is not specified. Attorneys drafting new trusts should discuss the pros and cons of adding explicit decanting provisions with their clients. 3. Alaska Stat. § 13.36.157. I hope this letter finds you well, having enjoyed a prosperous 2013, good health, family, and friends. As the year closes, I wanted to highlight some changes related to estate planning, estate administration, and elder law. You will find, for a refreshing change, most of these highlights to be positive. My office would like to welcome our new associate, Attorney Christopher Davies. Attorney Davies is a May 2013 graduate of Boston University School of Law. Chris has also taken the role of Director of Social Media for the firm. Originally hailing from Edinburgh in Scotland, Chris completed his undergraduate studies at the University of St. Andrews in 2008 and, prior to beginning his legal studies, he was a political researcher at the Scottish and United Kingdom Parliaments, latterly working with the Chairman of the Select Committee on Innovation and Higher Education. Chris will focus on elder law, business matters as they relate to estate planning, and general estate planning matters. He resides in Andover with his wife Kathryn. As many of you already know ATRA, the American Taxpayer Relief Act of 2012, made significant changes to our tax laws. The federal estate and lifetime gift tax exemption amount was changed to $5 million adjusted for inflation. Effectively this amount will be $5.34 million per person for 2014. In addition, a surviving spouse may cumulate any unused exclusion amount of the deceased spouse. This means that if the first spouse to die does not use any portion of his or her exclusion amount, the survivor would need to have an estate valued at over $10.68 million to have a taxable estate for federal estate tax purposes. The rate of federal estate tax is 40%. ￼Please note, the Massachusetts estate tax exemption amount remains at $1 million, and the rate of tax ranges anywhere from 8% to 16% based on the value of the estate. There is no Massachusetts gift tax. Income tax rates increased for most of our clients, and many of you will begin to see the impact of the new Medicare surtax of 3.8% in 2014. The top rate of income tax and long-term capital gain tax rates also increased. Trusts are taxed at the highest income tax rates on accumulated income greater than $11,950. As a result, income tax planning is increasingly important, particularly with regard to Trusts. The Massachusetts Uniform Probate Code (MUPC) was adopted in 2012, the changes were significant, and the benefits (after a learning curve for both counsel and the courts) seem to be beginning to accrue. Generally, appointments are faster and legal fees and costs tend to be less for the informal administrations. Massachusetts also adopted the Uniform Trust Code (MUTC). Overall, the goal was to minimize the court involvement in trust administration and to bring Massachusetts law in line with other states. See also newsletter for more detailed information about the MUTC (http://tinyurl.com/DRSMUTC). Also, related to trust administration was the 2013 Supreme Judicial Court opinion in MORSE v. KRAFT, which involved the interpretation of an irrevocable trust instrument created in 1982 for the benefit of the children of Robert and Myra Kraft. The case approved the “decanting” of Trust property, even though the language of the Trust did not specifically grant the Trustee such a power. Decanting is, very generally, the transfer of Trust assets to a second Trust. It is most often used to alter an irrevocable Trust’s administrative provisions, but – controversially – also could be used to amend the substantive provisions of a Trust instrument. While the Court found that the Trustee, in whom the Trust vested broad powers of distribution, could exercise an implicit decanting power, it did not grant a broad common law decanting power to all Trustees. Preferring to leave the issue to the legislature, the Court stressed that the outcome of future cases would depend on the facts and circumstances of each individual case. The Court also put estate planning attorneys and trust grantors on notice that trusts drafted after the issuance of the opinion may not be interpreted by the same standard, noting the prevalence of decanting provisions in modern trust instruments. While a number of states have adopted decanting legislation, the Massachusetts legislature has not yet acted. The grantor of any Trust should therefore be aware that, in order to achieve the flexibility of decanting, or to expressly avoid its potential pitfalls, a Trust amendment may be necessary. I continue to serve on the Massachusetts Bar Association Probate Law Section Council. Attorney Davies and I are currently working on two (2) articles for publication, one on decanting and the other on philanthropy (and the use of donor advised funds). I submitted an amicus brief on behalf of Massachusetts NAELA (National Association of Elder Law Attorneys), in the case of BARBARA JOHNSON & others, Plaintiff-Appellant, v. KINDRED HEALTHCARE INC. & others, Defendant-Appellee. The case has to do with the powers of a health care agent with regard to arbitration with nursing homes. AARP has also filed an amicus brief. We are awaiting the outcome from the Massachusetts Supreme Judicial Court. I will be attending the 48th Annual Heckerling Institute on Estate Planning the week of January 13, 2014. This is a national estate planning conference, combining the top estate planning lawyers from all over the country (and other related advisors). I will plan to send out a newsletter following this session. We are connected to Facebook (http://www.facebook.com/debrarahminsilberstein), LinkedIn (http://tinyurl.com/drslinkedin), and Twitter (@debrasilb). If you log on to our Facebook page, you will receive our periodic updates and newsfeed. You can also log on to our website at http://debrasilberstein.com. I thank you again for the continuing honor and opportunity to be of service to you. In Johnson v. Kindred Healthcare, Inc., decided on January 13, 2014, the Massachusetts Supreme Judicial Court (the “SJC”) considered whether an agent under a health care proxy could contractually bind the principal to arbitrate all disputes arising out of the principal’s stay at a nursing home. When Barbara Johnson admitted her husband Dalton to a Massachusetts nursing home, pursuant to her authority under a health care proxy, she also signed a document agreeing, on her husband’s behalf, that any disputes between Mr. Johnson and the nursing home would be settled through arbitration (a private, informal process that often favors companies over individual claimants) rather than in the courts. After Mr. Johnson suffered serious burns, and later died from his injuries, his estate filed a negligence claim against the nursing home, seeking damages under the Commonwealth’s wrongful death statute. The nursing home then sought to move the dispute to arbitration, pursuant to the arbitration agreement signed by Mrs. Johnson. Although the Superior Court found in the nursing home’s favor, the Johnson estate appealed to the SJC. The Massachusetts Chapter of the National Academy of Elder Law Attorneys (“NAELA”), represented by Attorneys Debra Rahmin Silberstein and Rebecca J. Benson, filed an amicus curiae brief with the Court. “The court adopted the primary argument in the amicus briefs on legislative intent, and expressly held in both cases that a decision to arbitrate is NOT a health care decision within the meaning of Chapter 201D. The SJC’s decision turned on the meaning of the term “health care decisions,” as contained in the Massachusetts health care proxy statute. In determining the legislature’s intent in enacting the statute, the Court found that “health care decisions” were limited to those decisions that directly involve the “provision of medical services, procedures, or treatment of the principal’s physical or mental condition.” An arbitration agreement, the court found, does not fall within this narrow, specific definition. As a result of the decision, the plaintiff’s negligence claim will be allowed to move forward in the court system, and the scope of a health care agent’s authority is significantly clarified. While a power of attorney has the power to bind the principal contractually (subject to the powers granted in the documents), the health care agent’s authority is strictly limited to decisions concerning the provision of health care. While Mr. Johnson’s estate, in this case, benefited from the agent’s lack of authority, the Court’s clear distinction between the two roles (of power of attorney and of health care agent) serves to strongly underscore the importance of having both documents in place. If you have retirement assets (401(k)s, 403(b)s, IRAs), life insurance, annuities, or any other asset that has a beneficiary designation, check with the applicable financial institution that your accounts name the correct beneficiaries. Think about whether anything has changed since you opened the account that might make you want to modify who will receive these assets. Further, for important income tax reasons, note that retirement assets should not generally name your Trust as a beneficiary. If a Trust is named as beneficiary of your retirement asset, call us or your tax advisor to confirm that this designation should not be changed, and to discuss the income tax implications. While you’re thinking about your health – perhaps you’re trying to drag yourself to the gym or trying healthy eating – think about what your choices might be for medical treatments and procedures while you’re incapacitated. A Health Care Proxy appoints someone to make those decisions on your behalf if you cannot communicate your wishes to your physician. If you don’t have one in place, consider who you’d name, and call us to put one in place. If you already have one, talk with your named agent about your wishes regarding health care, and consider whether the person you named is still the person you would want to make those decisions for you. If you have an existing estate plan, you might want to think about your online accounts, from eBay and Amazon businesses to Facebook, Gmail and iTunes accounts. While the law remains unclear as to who owns these assets after your death, there are simple steps that can be taken to ensure your loved ones can access these accounts if something happens to you. Be sure to make lists of usernames and passwords, and keep them in a safe place. We can also assign digital assets to revocable trusts, and grant powers over digital assets to your power of attorney. Many people make estate plans when their children are young, when they don’t know what the future will bring. Whether it’s disability, addiction, marriage, or divorce, your estate plan might need to be updated to better serve the needs of your beneficiaries. For example, if your children receive government benefits, leaving him or her even a modest legacy, without further planning, will almost certainly affect his or her eligibility. So think about whether changes in circumstance might warrant an update. While the American Taxpayer Relief Act of 2013 largely settled the federal estate tax question for estates of less than $10.6 million, Massachusetts residents may still face a state estate tax if their estate is worth more than $1 million. It’s easier to get to that number than you might think. Life insurance proceeds may very well be included in your estate for estate tax purposes. For a rough calculation of your estate’s worth, add up all your assets – including real estate, retirement accounts, investment accounts, and cash – and add to it the death benefit value of any life insurance policies (term or whole life). If you’re anywhere near the million dollar mark, estate tax planning might make sense for you. The Internal Revenue Service (“IRS”) is increasing the limit on the federal deduction for premium payments made on long-term care insurance policies in 2014. For self-employed taxpayers, the advantages are more significant. As long as the self-employed tax payer made a net profit for the year, she can take the amount of the premium – up to the limit for her age – as a deduction, even if the policy premium was less than 10% of her adjusted gross income. If you’re currently receiving fixed payments payments from per diem or indemnity policies, which pay a predetermined amount each day, the amount of this payment you can exclude from income will also increase. For 2014, taxpayers receiving these benefit payments need only include in income the amount exceeding their total qualified long-term care expenses, or $330, whichever is greater (the 2013 amount was $330). What is a “qualified” long-term-care insurance policy? Policies must offer the consumer the choice to elect protection from inflation and “nonforfeiture,” although the consumer may choose not to purchase such protection. The policies must begin to provide coverage when the insured can no longer perform, or needs assistance with, at least two out of the six “activities of daily living.” These include eating, toileting, transferring, bathing, dressing, and continence. Policies purchased before January 1, 1997 are “grandfathered” and treated as “qualified” as long as they have been approved by the insurance commissioner of the state in which they are sold. Individual policies often require this approval, while many group policies do not. Consumers should be aware of these factors when contemplating the purchase of long-term-care insurance, and should seek financial and legal advice to determine whether policies meet state and federal requirements. (1) common ownership; (2) pervasive control; (3) confused intermingling of business assets; (4) thin capitalization; (5) nonobservance of corporate formalities; (6) absence of corporate records; (7) no payment of dividends; (8) insolvency at the time of the litigated transaction; (9) siphoning away of corporate funds by dominant shareholder; (10) nonfunctioning of officers and directors; (11) use of the corporation for transactions of the dominant shareholders; and (12) use of the corporation in promoting fraud. Observation of corporate formalities is a less significant factor when dealing with LLCs, because the LLC statute gives the entity the flexibility to keep processes informal. However, where a written operating agreement has been adopted, members should be careful to conform business practices to the terms of the agreement. Further, because owners of single member LLCs, by definition, exercise pervasive control over their businesses, to preserve the liability protection function of their LLC, such owners should be particularly careful to avoid the commingling of their assets with those of the LLC, and should keep meticulous records of transactions and activities conducted by the LLC. Further, such business owners should avoid using the LLC’s assets, accounts, or credit cards for personal transactions, and should be clear to tenants, vendors, and other third parties that they are dealing with the LLC as an entity, and not the owner in his or her individual capacity. Additionally, members should not take distributions that would leave the LLC undercapitalized and therefore lacking assets to pay potential creditors. The absence or insufficiency of liability insurance may contribute to a determination of undercapitalization, but does not itself constitute undercapitalization.